The younger players have been made to feel welcome, there’s been a new star in every game and the team matters far more than individual landmarks. Hannah Rowe is a chatty 20-year-old, whose tall frame and swishing blonde ponytail cuts an imposing figure when bounding in to bowl for New Zealand. Her father Craig describes her as “quite social”, and someone who loves the microphone. 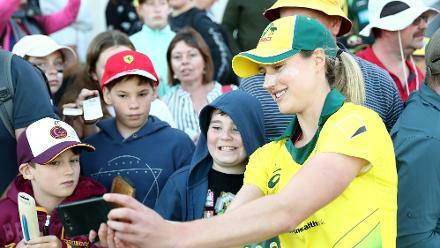 On Saturday against Pakistan, making her World Cup debut in front of her “support crew” of parents and friends, Rowe gave everybody plenty to talk about. She ran in to finish with a player-of-the-match 3 for 22 from nine overs. It was a “pretty awesome” day in Taunton for her. With that, she became the latest in New Zealand’s growing list of impact players this tournament. In New Zealand’s four completed games of the ICC Women’s World Cup 2017, four bowlers in their first World Cups have come on to make match-defining contributions. 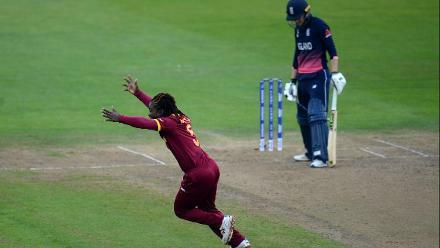 Against Sri Lanka, Holly Huddleston, playing her first World Cup match, picked up five wickets. 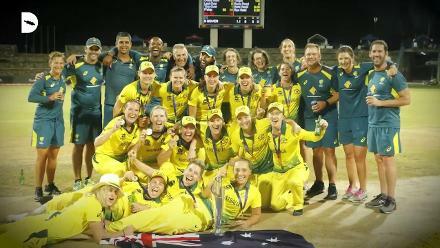 In the loss to Australia, Amelia Kerr, the 16-year-old leg spinner who seems mature beyond her years, bamboozled Meg Lanning and Elyse Villani in consecutive balls to give her side a foot in the door. She has six wickets already in the tournament. Against West Indies, Leigh Kasperek, again on World Cup debut, had three to her name with her floaty offspin. 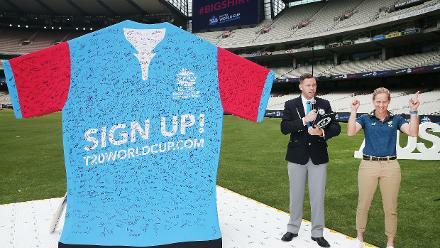 And on Saturday, Rowe’s second over in a World Cup was a double-wicket one. With so many players raising their hands and staking a claim for a place in the XI, Suzie Bates’ job isn’t an easy one, but the success does offer an understanding of the continued positive approach of the White Ferns to the game. That the New Zealand side is a good place to be is a sentiment echoed not only by the young players, but also those around them. “We’ve got a really good group of older girls. Anyone who comes into the team is really welcomed. You feel at home straight away. It’s a good combination of youth and experience,” said Rowe. 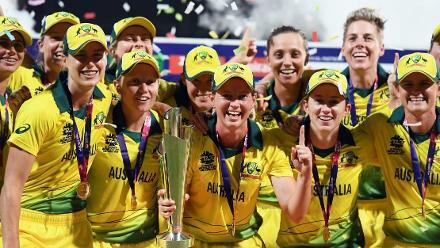 “They’ve just been really welcoming, made her feel like she’s contributing as well to the field off the field too, they make her comfortable around all of them, so the age difference isn’t made obvious,” added Jo Murray, Kerr’s mother, a former player herself. At first, #StrongerTogether seems like a cute hashtag and t-shirt slogan that everyone around the team wears. Big white block letters on black tees with the distinct white fern. But then you see the celebrations at every wicket, the high fives and the pats on the back; the friends and family who’ve travelled half way around the world to cheer them on and enjoy one another’s company; the sheer entertainment; the camaraderie at the press interactions – and the New Zealand motto makes sense. In fact, ‘stronger together’ is something the team has counted on for a while now to help bring up big performances, even when it wasn’t spelled out on a shirt. Rachel Priest and Devine’s approach to batting offers another reflection of this team philosophy. Against West Indies and Pakistan respectively, they showcased two excellent examples of not just incredible power hitting, but also selfless play. Like Priest on Thursday, Devine on Saturday dealt in boundaries. 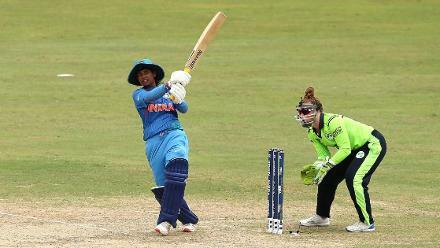 Chasing a target of 145, she made it so it was mathematically possible for her to have a hundred, but fell for 93 off 41 balls. 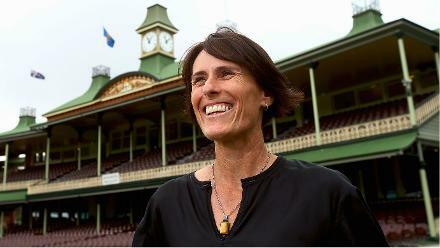 And like Priest, who had made 90 off 55, the lack of a century didn’t bother her in the least. “It’s just a number isn’t it,” she said. “It was funny that seven more runs makes a big deal. At the end of the day, a win’s the most important thing in the World Cup. She disagrees that theirs is a high-risk approach. “I don’t see it as high risk. I back my ability and we all do. We all back our skill sets. It’s almost high risk to not play your own style of cricket. With two big games still to go, against England and India, the team is coming together nicely to make a push to the semifinal. And if it continues justifying the belief with performances, it can only go from strength to strength.